Will you leave, if I open my eyes? Will you stay, if I promise not to sway? Will you hold me, the way rain clings to me? Will you kiss me, hard, deep, fierce and free? I love the whole way it is presented..
eyes closed.. glistening rain drops.. 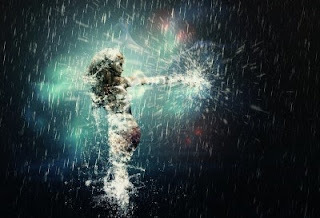 I really love your illustrate of the rain dance. Also, poem too. 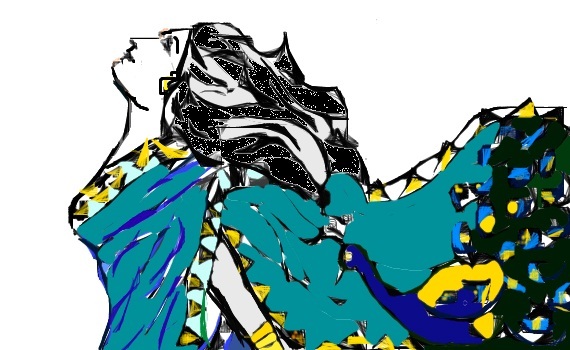 If you don't mind I'd like to use your illustrate for my own blog. Thanks for stopping by. It comes from a stock image.. not mine. As far as I could check, it was free stock image.. low defined. I think you can use it too. It's not mine.